Rosemarie Myrdal cutting the ribbon for Project Trade. 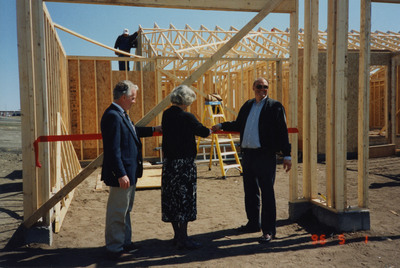 With her are Craig Dunn, NDAB (left), and Lee Mitzel, Mitzel Builders (right). Information taken from the back of the photograph.